Scientists from across region including Iran and Israel, become part of new international research center, first of its kind in Middle East. 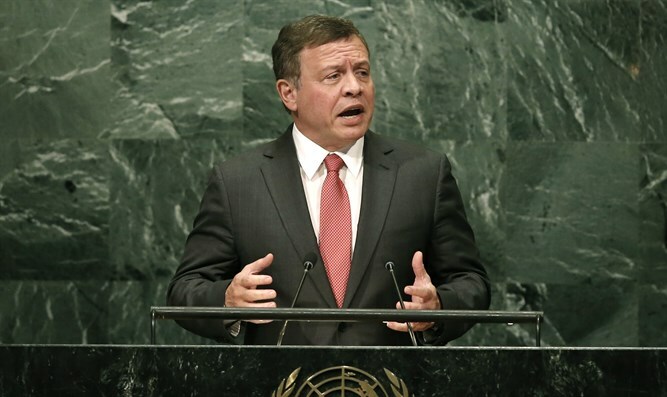 Jordan's King Abdullah II on Tuesday formally launched an international research center whose members include experts from around the world including arch-rival Iran and neighboring Israel. The International Center for Synchrotron-Light for Experimental Science and Applications in the Middle East, known by the acronym SESAME, "is the first research center of its kind in the region," said the royal court. The facility, located in Balqa province, just northwest of Amman, "will house the first nuclear-powered accelerator in the world," said SESAME council president Chris Llewellyn Smith. "The center is expected to attract a large number of scientists from the region," Smith said, adding it had "so far received 55 scientific research projects on the use of nuclear accelerators". SESAME was set up on the model of the European Organization for Nuclear Research (CERN) -- Europe's top physics laboratory -- and construction work on the $100 million center started in 2003. The project's website says that SESAME is a "third-generation" synchrotron light source aimed at promoting "scientific and technological excellence in the Middle East". Its mission is to "prevent or reverse the brain drain by enabling world-class scientific research in subjects ranging from biology, archaeology and medical sciences." SESAME also seeks to "build scientific and cultural bridges between diverse societies, and contribute to a culture of peace through international cooperation in science," the website says. Among the project's members are arch-rivals Israel and Iran, in addition to Cyprus, Egypt, Jordan, Pakistan, Turkey and the Palestinian Authority. Seyed Mahmoud Reza Aghamiri served as vice president from December 2011 to May 2014 when Eliezer Rabinovici, a physics professor at Jerusalem's Hebrew University, replaced him. The center also has 17 observers, who have an advisory role and include the European Union, China and the United States. The center has three accelerators that can propel electrons up to 2.5 billion electron volts. The chairman of the Jordan Atomic Energy Agency, Khaled Toukan, "pointed to the political, technical and financial challenges that faced the project's task force," the statement added.